Made by Ilyas Saltani for Q3 Book Project. 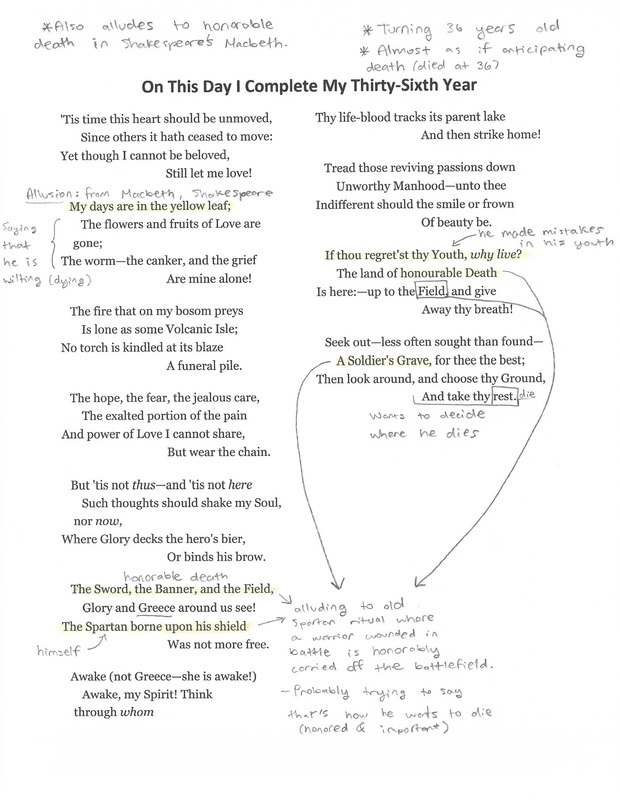 See the annotations on the left to understand the true meaning of each poem, and I have included a brief overview of each on the left as well. At the end of this page I have included a poem of my own written in a style resembling that of Lord Byron's. This poem is based on the Greek myth Prometheus. A sardonic tone is created when Byron seemingly mocks Zeus in an attempt to understand his reasoning for punishing Prometheus for his good deeds despite the fact he did dissent the Greek Gods. 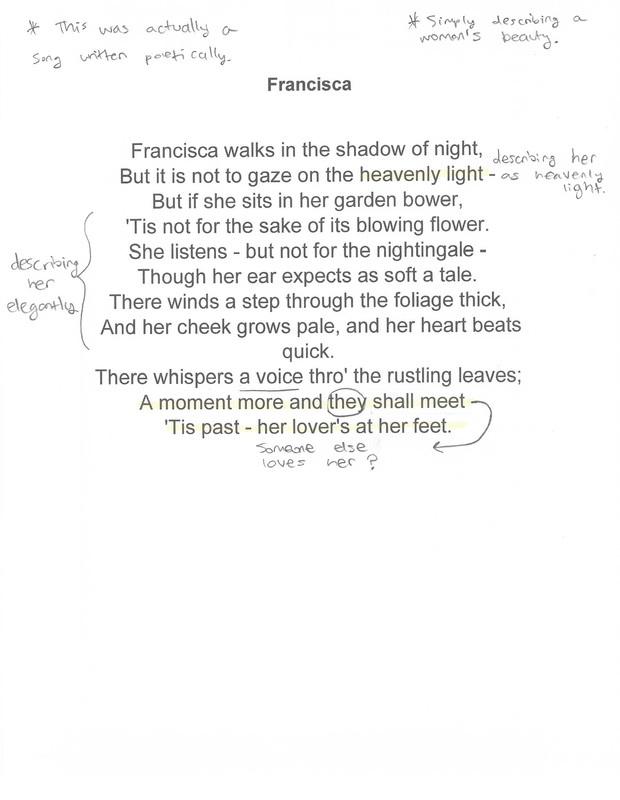 There are allusions to the actual myth throughout the entire poem which help develop the tone and theme. The theme of this poem is to reward people on their good deeds rather than focus on their negative aspects. This was the last poem Lord Byron wrote before he died at age 36. It seems as if he is almost anticipating his death and talks about how he wants his death to be. He wants to die an honorable and memorable death like a warrior. Because of this an almost foreboding tone is created as most of the poem is alluding to his death. There isn't really an actual theme to the poem, but rather a main point which is simply that Byron wants a memorable death. 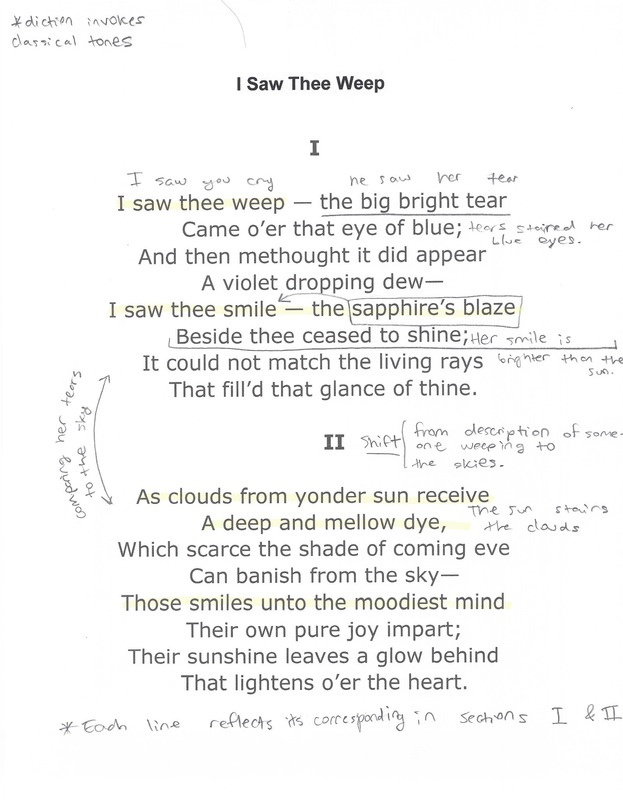 This poem is one Byron's most straight forward and easiest poems to understand. He is simply talking about a beautiful girl he saw at a ball and spends the entire poem describing her exquisite beauty in great detail. As all the other poems, various examples of diction can be seen that helps develop the old and classical feeling of the poem. The tone of this particular poem is admiration. At first glance at the title, I assumed this poem would be about Byron's days coming to an end, but after conducting some research, I realized he was talking about a soldier. 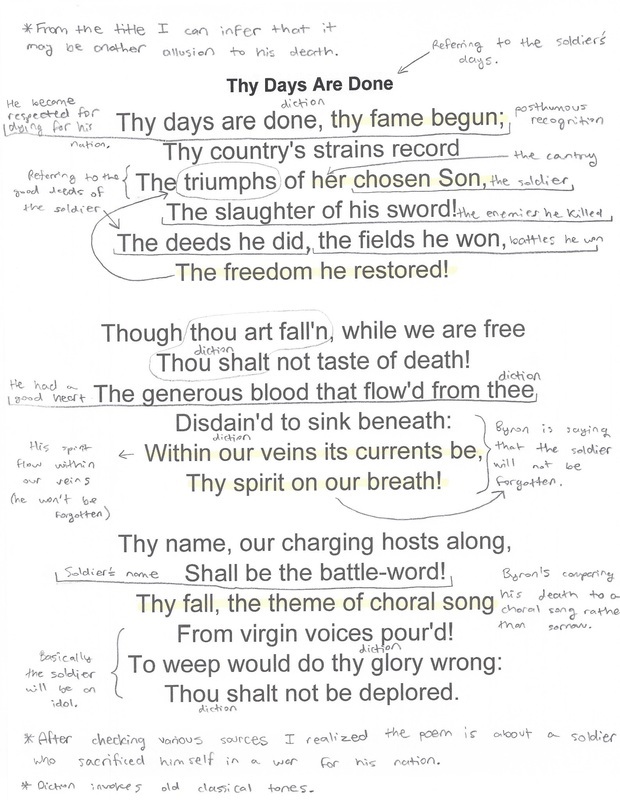 Based on my knowledge off Byron's writing he was probably trying to make the comparison of himself to this individual mentioned in the poem as they are both heroic and will receive great posthumous recognition. Once again this poem presents a tone of admiration for this valiant soldier who died for his nation. Byron spends the poem talking about his achievements and how he will never be forgotten. This poem is about a woman who Byron met while visiting Athens, Greece. It was love at first sight and he wrote a poem describing her beauty and how he feels about her. Byron includes a Romaic expression "Zoe mou, sas agapo!" which means "my life, I love you!" to emphasize his love for her in her vernacular language. Byron also uses nature and other elements to describe her to show that she has a natural beauty. The tone of this poem is longing and passionate. This poem is about a castle once used as prison in the Switzerland. This beautiful castle is full of memories of martyrs who were executed for dissenting the Church, and Byron described his feelings towards this historical location. He says the memories of these people will never be forgotten and there spirits will last within the castle for eternity. He creates an almost sentimental tone. This is also one of Byron's simplest poems. This poem however was originally written as a song to go into a collection of his titled Hebrew Melodies. This particular poem/song is about a beautiful girl whom he describes in great detail rather elegantly. He creates a passionate tone as well. 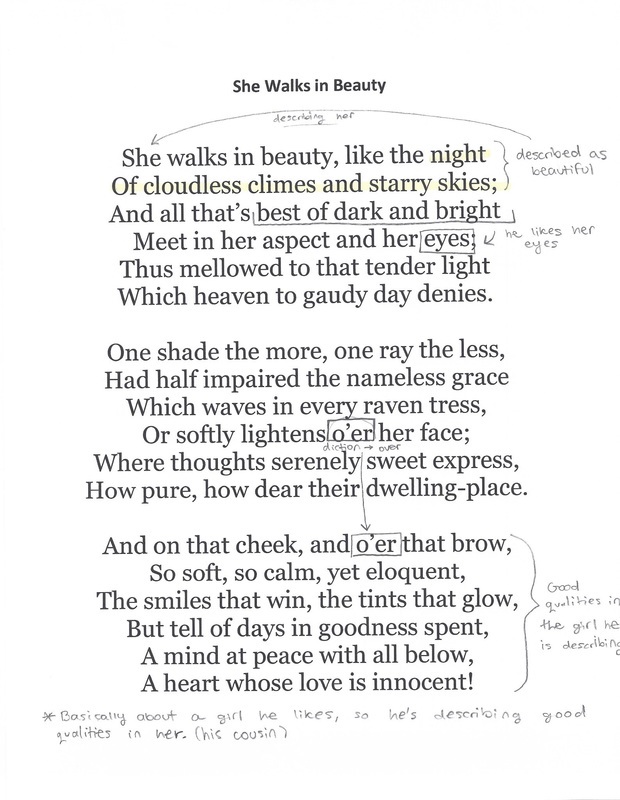 Byron wrote this poem very interestingly as the first stanza is a reflection of the second. Basically where there is a shift, he begins speaking about nature rather than the person he was describing in the first. He compares the two as he describes the person's crying with the sky. Because of this there is also a passionate and admiring tone. This poem is about a certain time of day that Byron likes as many beautiful things occur then. He uses a lot of imagery to set a calm, serene mood, and dreamy tone. 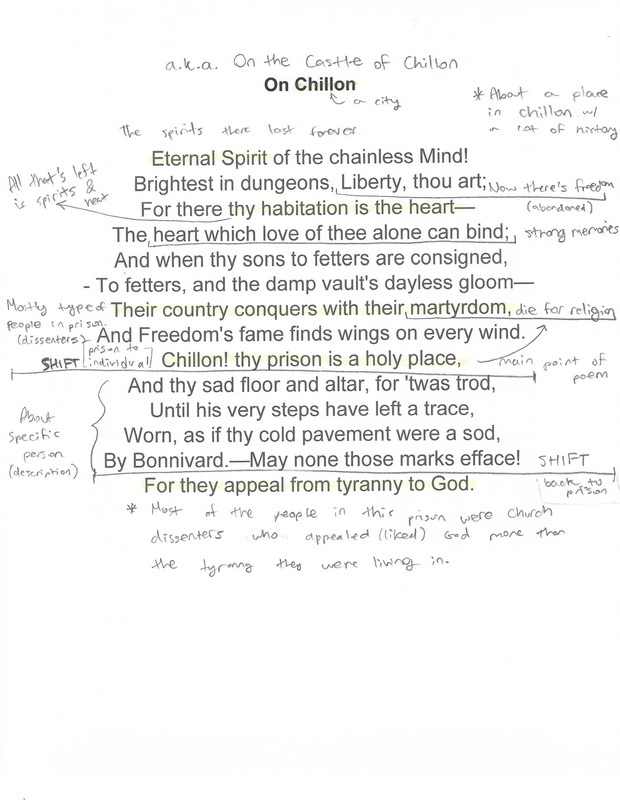 The most notable literary element Byron uses besides imagery is progression. 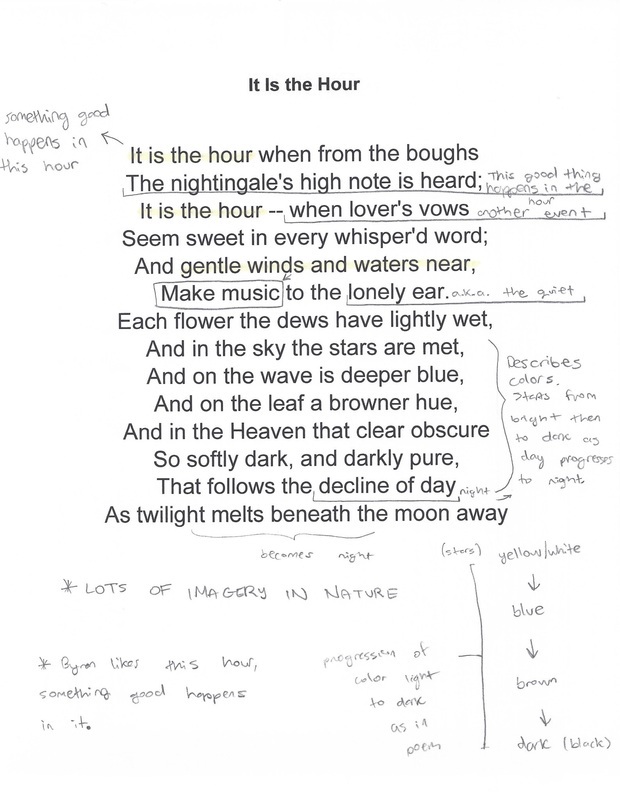 The poem gradually shifts from day time to night time and this can be seen in the colors in his descriptions. Stars (yellow/white), to waves (blue), to leaves (brown), to softly dark--decline of day (black). Lord Byron is using this poem to allude to society in his time. He is defining a fine line between being physically and mentally in solitude. He is implying that you can be all alone in nature, but you are still within the boundaries of god. On the other hand, a midst the busy and crowded lives of his time people are all together and connected, yet mentally in solitude. 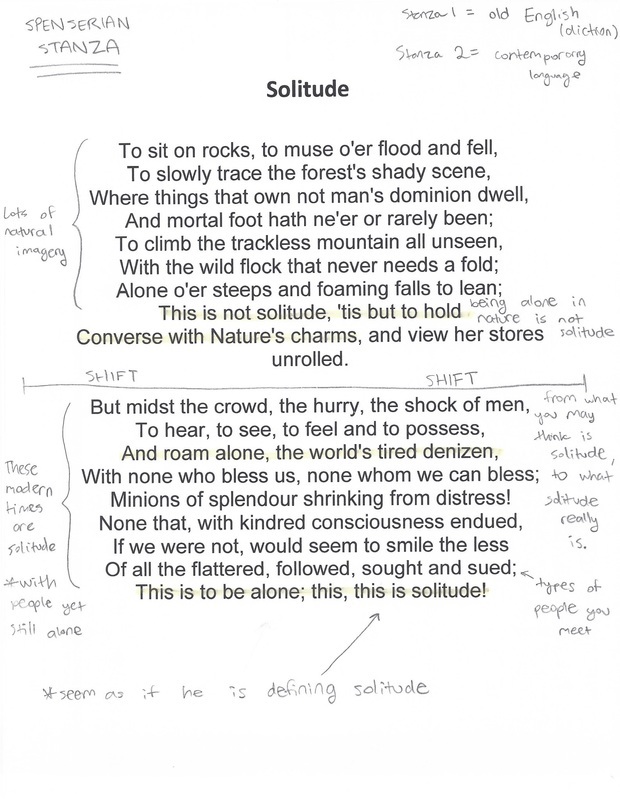 That is Byron's definition of solitude. In addition to this, the poem was written in Spenserian stanza which is a style of poetry where each stanza has 9 lines written in heroic verse. I know not her name, that which I call a rose. If our paths cross again, only heaven knows. Though I still say good night till tomorrow. As you can probably tell from the title and many other lines throughout the poem, allusions are constantly being made to Shakespeare's Romeo and Juliet. 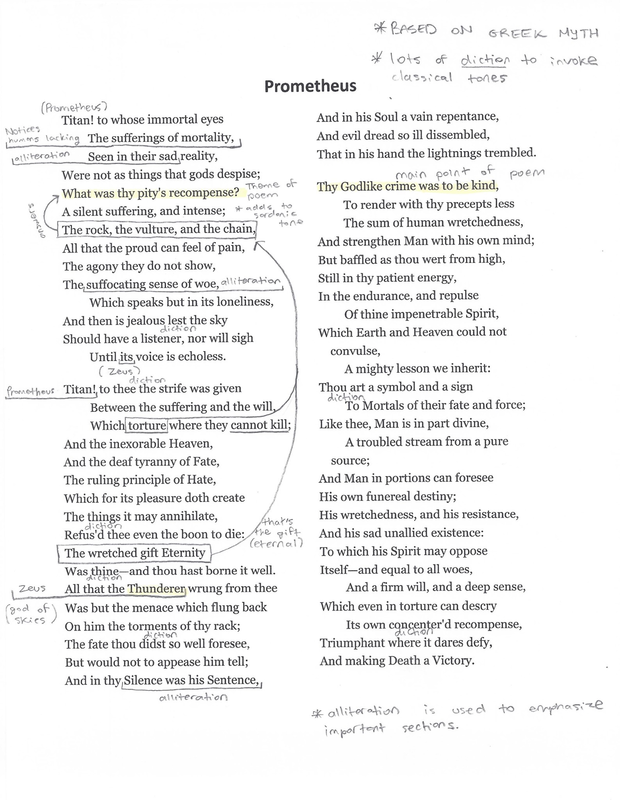 This poem accurately resembles Lord Byron's poetic style as he writes about significant events in his life and compares and alludes them to original works and stories. This poem is about how the speaker noticed a beautiful woman somewhere and never had the opportunity to formally meet her. It was love at first sight. The Romeo and Juliet allusions were made to emphasize the intensity of love felt towards the woman by the speaker. The red lines on the left indicate the Romeo and Juliet allusions.